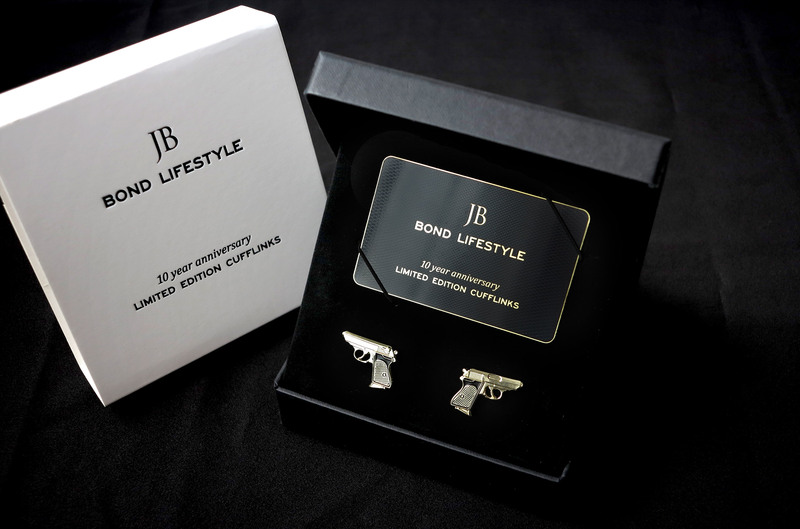 For the 10 year anniversary of my website Bond Lifestyle in 2015, I created limited edition custom designed cufflinks, including a custom designed packaging. 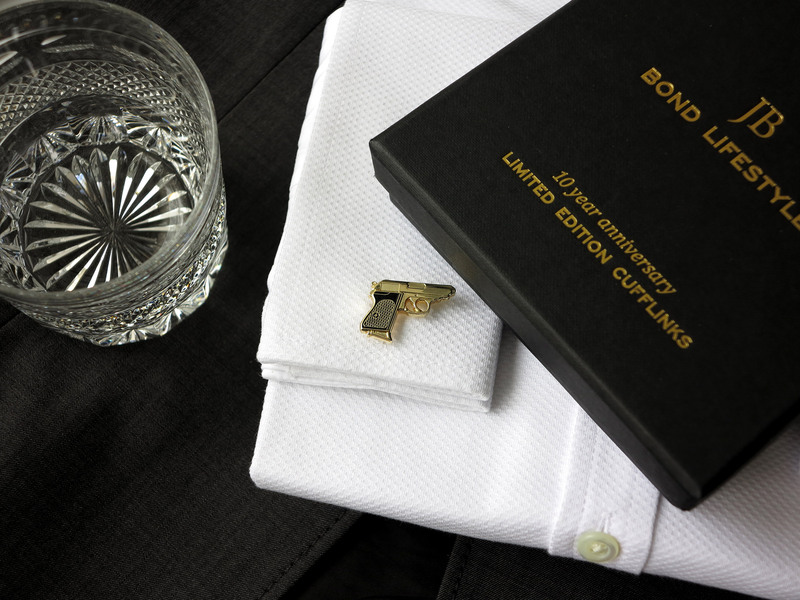 The set contained 2 custom design gold-plated cufflinks in the shape of the gun used by the most famous secret agent. 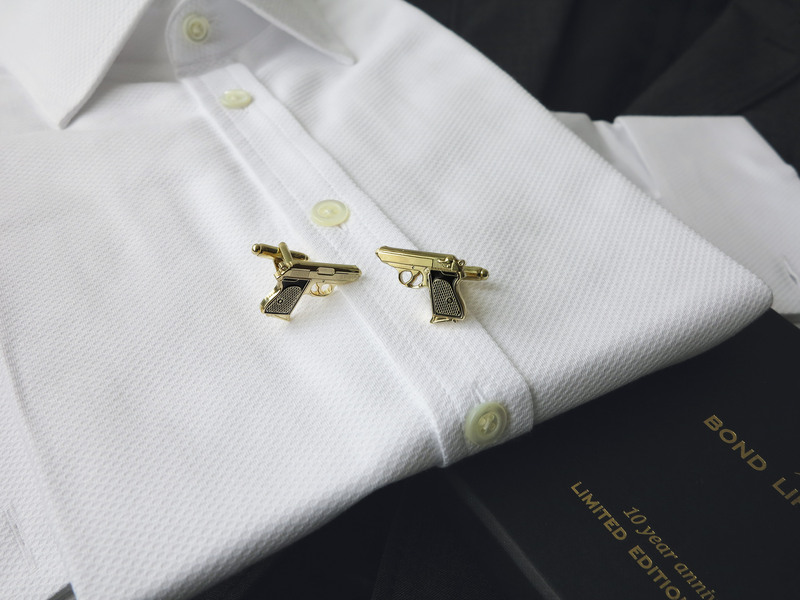 Each cufflink shows a different side of the gun. The cufflinks came in a thick carton black box with gold foil text and white carton outer sleeve with black embossed logo. Each box is hand numbered, only 100 sets were ever created. The box contains an extra heavy, gold and black metal Certificate Card with diamond shape ‘gun grip’ texture, and a 16-page booklet. 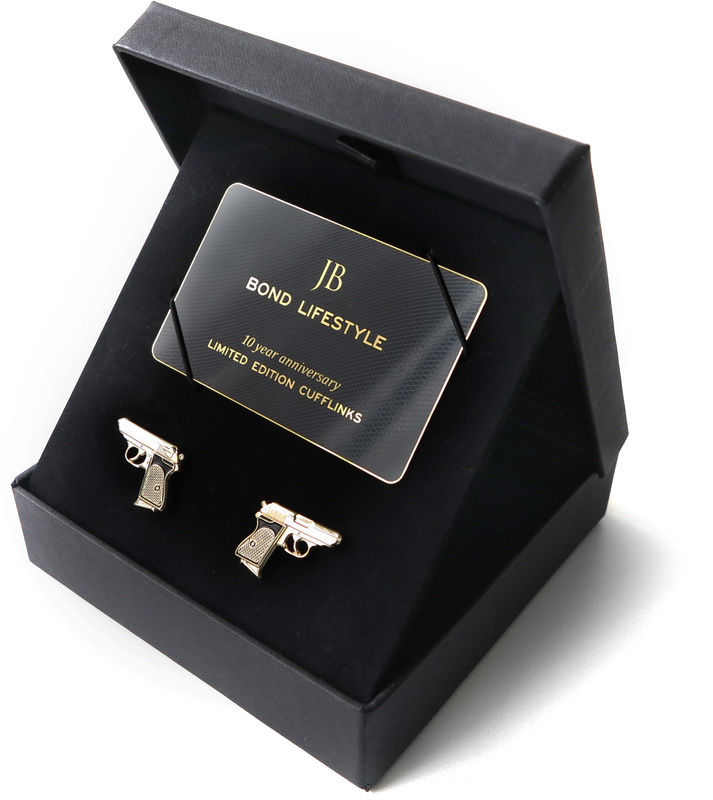 The black velvet covered insert of the box can be set up on an angle, to show off the cufflinks in ‘display mode’.